The 30-year fixed-rate mortgage (FRM) averaged 4.21 percent with an average 0.5 point for the week ending March 9, 2017. This is up from last week when it averaged 4.10 percent. A year ago at this time, the 30-year FRM averaged 3.68 percent. The MCAI increased 0.4 percent to 177.8 in February. Of the four component indices, the Government MCAI saw the greatest increase in availability over the month (up 2.3 percent), followed by the Conforming MCAI (up 0.1 percent). The Conventional MCAI decreased 2.2 percent while the Jumbo MCAI decreased 4.4 percent. 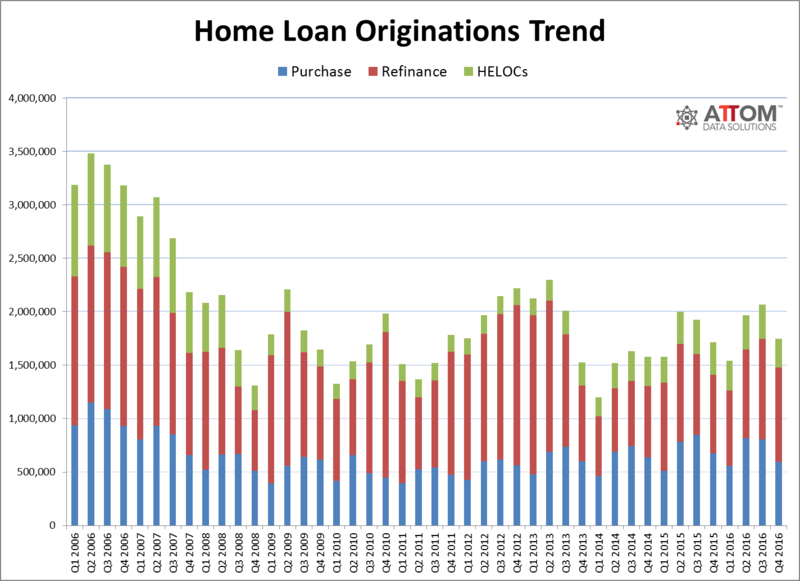 62,000 homes regained equity in Q4 2016. 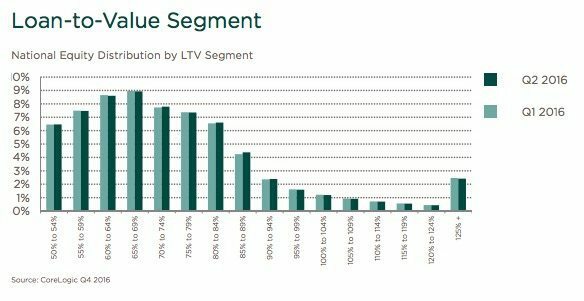 15 percent of properties with a mortgage are considered “under-equitied” — with less than 20 percent equity. 6.2 percent of mortgaged homes have negative equity. 193,009 single family homes and condos were flipped in 2016, up 3.1 percent from 2015. 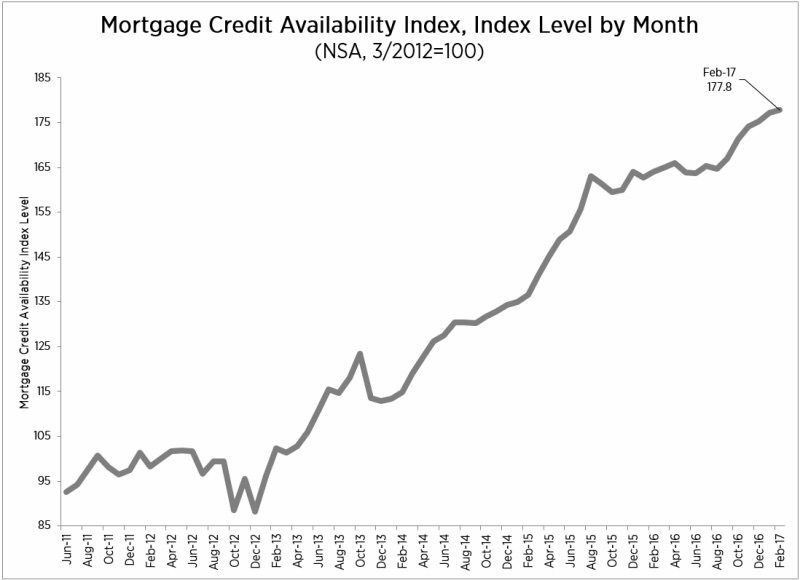 This is the highest level since 2006, when 276,067 single family homes and condos were flipped. Home flips in 2016 accounted for 5.7 percent of all single family home and condos sales during the year, up from 5.5 percent in 2015. Mortgage applications increased 3.3 percent from one week earlier for the week ending March 3, 2017. The Refinance Index increased 5 percent from the previous week to the highest level since December 2016. 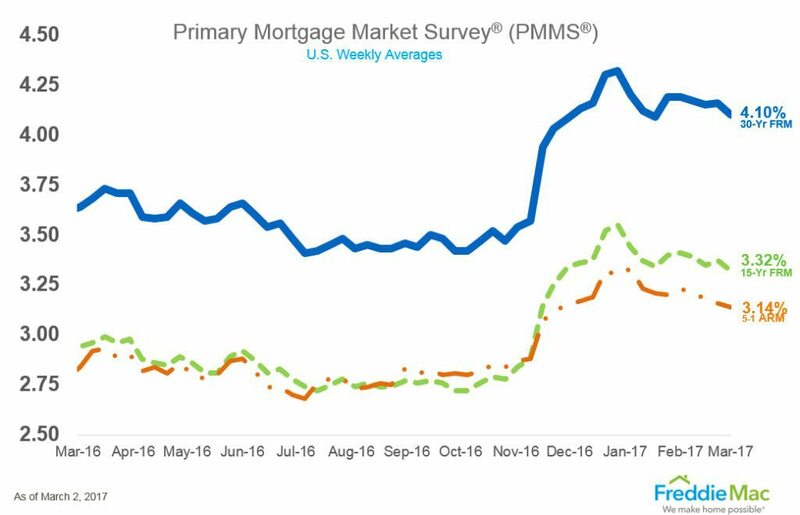 The average contract interest rate for 30-year fixed-rate mortgages with conforming loan balances increased to 4.36 percent from 4.30 percent. The March Housing Tides Index shows an increase to 73.6 after falling slightly to 72.4 in February. The Index is up from 73.4 in March 2016. 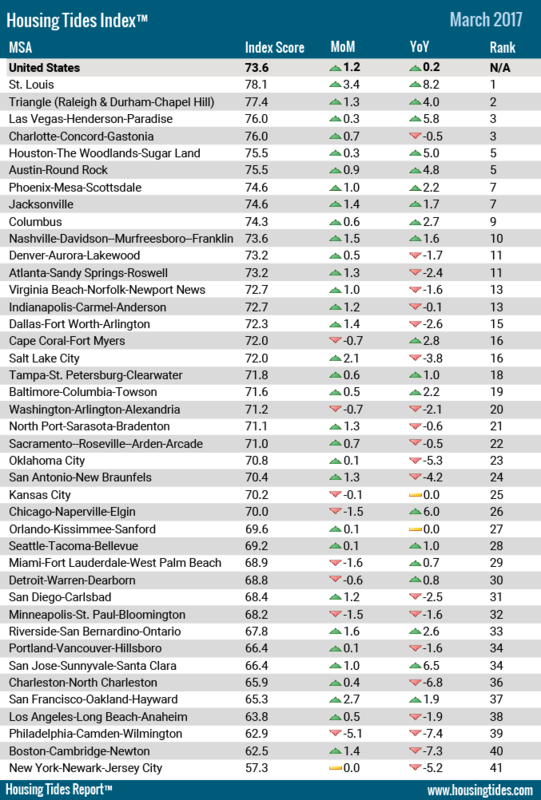 The Housing Tides Index scores increased in 33 of the top 41 local markets this month. Home prices went up 6.9 percent between January 2016 and January 2017. From December 2016 to January 2017, home prices rose 0.7 percent. 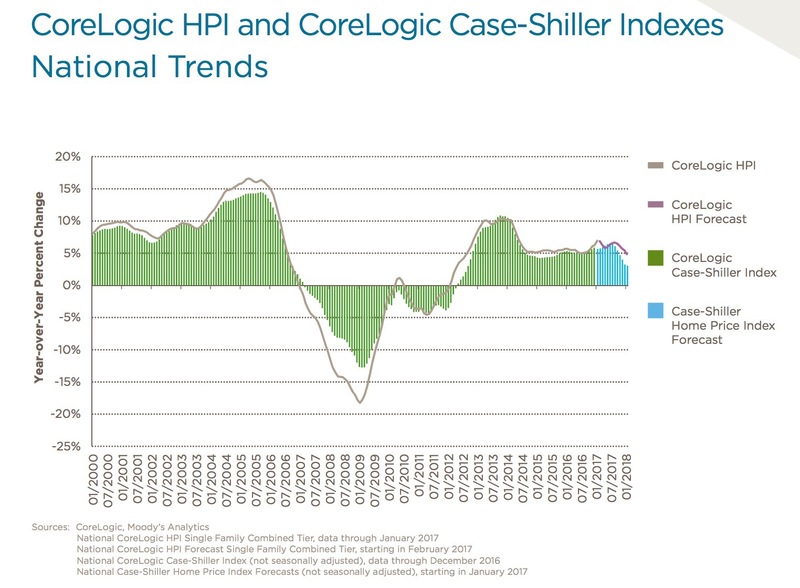 CoreLogic forecasts a 0.1 percent month-over-month change and 4.8 percent year-over-year change from January 2017. The HPSI increased in February to 88.3. This is 5.6 percentage points higher than January 2017. 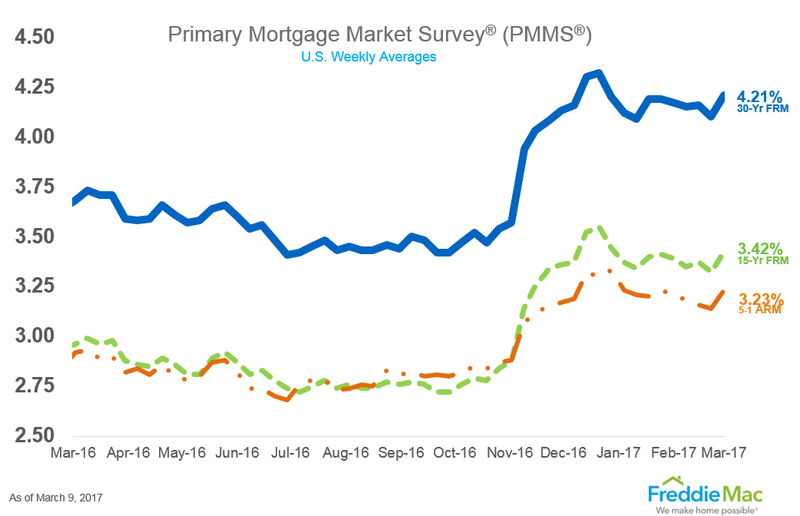 The HPSI is also up 5.6 percentage points compared with February 2016.